Introducing my supervisor: Introducing Prof. Susan Allen | Rachael D. Mueller, Ph.D.
Hello friends. I’m biking back from UBC. This is going to be part of my bike commute, and I’m here with my supervisor, Prof. Susan Allen, who I’m introducing to you by bike for a very specific reason. Susan inspires me in many ways and the people listening who know her will relate to my thinking of her as one of the people with the most integrity of anyone that I know. We’ll get into the science part of our relationship at some point because there is lots of science ahead, and I know she has intimidated me with her physics prowess and her wielding of the potential of it and will continue to in the years to come, inspiring me in that regard, but…today…we’re talking about biking. 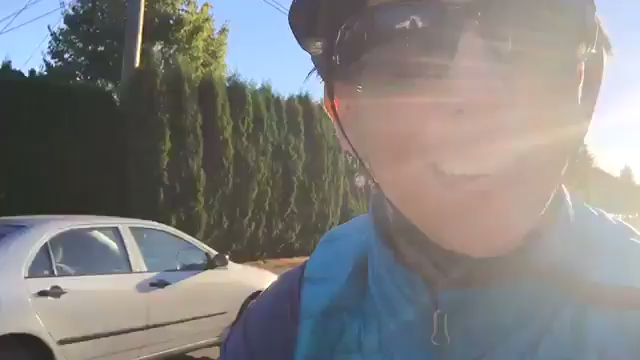 Last night, I asked Susan what inspired her to start this biking lifestyle, because she and her husband, Doug, have been without cars for over 10 years and biking to work is just a part of their schtick. So I was asking her what inspired that change in their lives, and I found her response incredibly heartwarming and inspiring, so I’m going to have her (maybe) share with you the bit that she spoke to me about the community aspect of biking. I really didn’t think about before she mentioned it and, after having heard it from her, I was like: “that is so share-worthy”. So I’m having her share it with you today so that you can hear too. Take it away, Susan. Well, we are on Eighth Avenue, and this is one of the major east-west bike corridors in the city and about half the space is dedicated to moving lanes and half the space is dedicated to park cars. So, if we think about our city, we dedicate a whole lot of space to parked cars. This is space that could be dedicated to pedestrians and to kids playing. Bikes take up less space. They feel better, and we’re more connected with people. We are connected to when we see people cross in front of us or when we’re trying to decide who goes first. It’s not beeping [a horn]. You can ask: Would you like to go first? We can have conversations and be more a part of the community as we ride through than we can in a car. So…with that…for those who don’t know her, you just met my new supervisor, Susan Allen. I got to pull over to stop this.